Boy oh boy, Zooey Deshanel has been busy. She's still working on that TV show I can't bring myself to care about. Her first entrepreneurial venture, Hellogiggles.com is taking off. 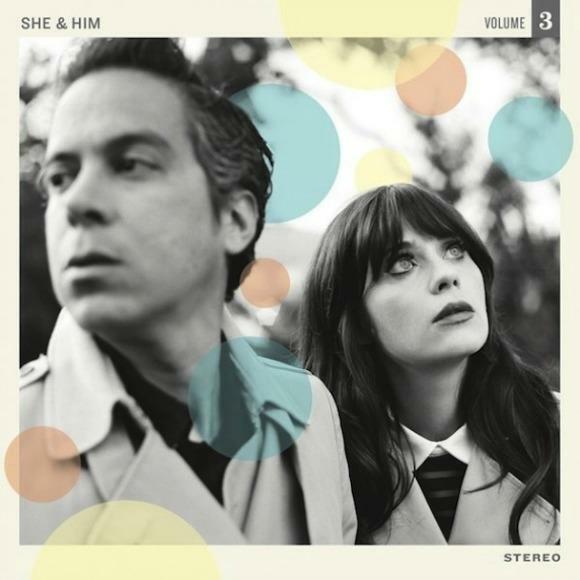 A new She & Him album, creatively titled Volume 3, is on the way and now the duo has released "Never Wanted Your Love", the first single from that album. If the title seems like a shot directed towards Ben Gibbard at first glance, it is only because he famously crooned "Your love is going to drown" almost ten years ago on Plans. Really, Zooey is doing fine without him though, as evidenced by the joyously baroque strings and Doo-Wop vocal harmonies. If this track is indicative of what Volume 3 will sound like, than it is pretty clear that She & Him are incorporating increasingly complex elements into their signature folksy sound. A welcomed expansion, I would think, considering Zooey's ability to construct fun, simple melodies can only hold so much water. It now feels as though the band is ready to take that next step of musical maturity. They're certainly not abandoning the essence of the group either. So far, it seems like She & Him have found some balance. For now, I'll just wonder what the hell Zooey is looking at on the album cover.